Frontier Wellness Center accelerates healing with PEMF therapy for human and veterinary patients. Using a Magna Wave PEMF device that generates a pulsed electromagnetic field quickly regenerates damaged or diseased tissues in the body. We are achieving amazing results in the area of pain relief with PEMF in veterinary applications at Frontier Wellness Center. PEMF - pulsed electromagnetic field - therapy has brought relief to hundreds of veterinary and human patients in our practice. The primary cause of illness is cell malfunction, with a resultant decrease in cellular surface electric potential. When the electric potential drops all active cell functions are decreased. Delayed restoration of surface electric potential can lead to chronic cell malfunction and signs of illness begin to appear. PEMF Therapy enhances all types of healing and treats pain associated with surgery, arthritis, trauma and disease. In an overwhelming majority of cases we find that pulsating magnetic fields can quickly restore health. PEMF returns cellular electric potential to normal functioning levels. 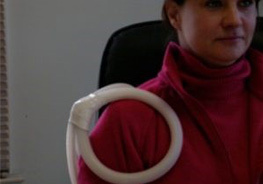 We have selected Magna Wave PEMF equipment for our practice. It is the highest quality PEMF technology device available paired with the only PEMF certification program in the country. 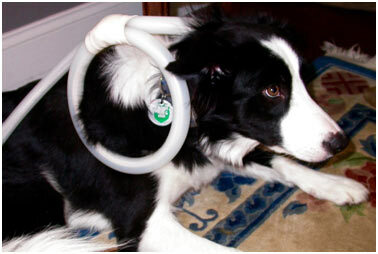 Pain relief with PEMF is very effective and works quickly to restore balance to your pet. Frontier Wellness Center of East Granby CT has treated horses, cats, dogs, rabbits, other small animals and people successfully with no ill effects. The therapy is noninvasive and no medication or hair clipping is required. We provide access for personal use via pleasant in-office time rental with equipment instruction from our certified therapists. PEMF can help normalize your body's cellular regeneration and will keep it running smoothly.